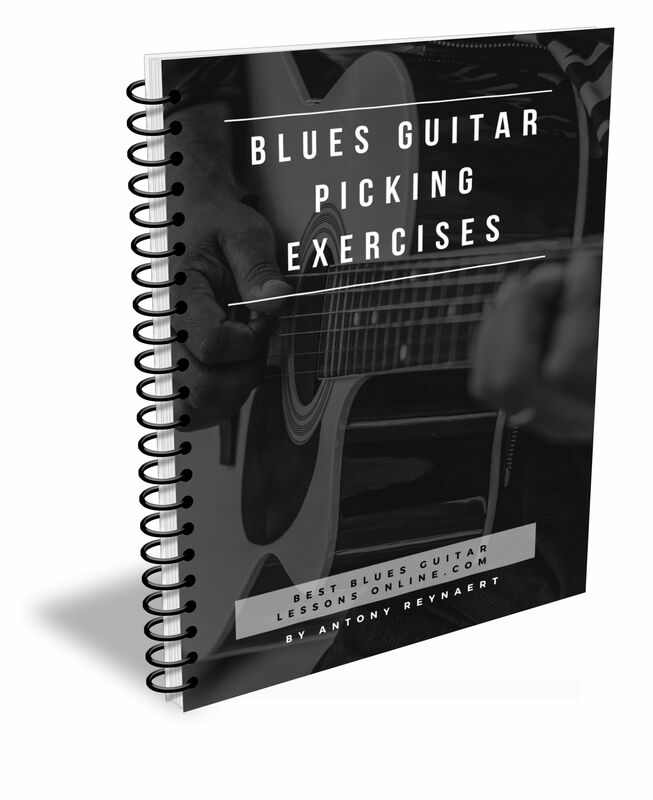 Are You Looking For The Best Blues Guitar Exercises? Is your blues guitar technique playing stuck in a rut because of the lack of good practice materials? Many guitarists and guitar teachers claim blues is an ‘easy’ style. Doesn’t this make you frustrated and confused at the same time? Because every time you pick up your guitar you don’t sound anything like the great blues guitarists you admire. I wrote this free guitar picking guide to destroy the general advice that blues is an ‘easy’ style. If blues is an easy style, then why is not everybody rippin’ their guitar fretboard with advanced blues techniques? Fact is that guitar technique in the blues is as difficult as any other style. Even if you are playing for a while and covered some of the basics (the techniques they claim to be ‘easy’), you are probably wondering how to get to the next level and start playing really advanced blues guitar solos. The great news is that blues guitar technique can be learned by focussing on the right picking exercises and knowing WHY and HOW to practice them. How to free the music inside of you by overcoming your guitar technique limitations. Once you focused on the right exercises then you will find yourself in a place where you don’t have to actively think about technique anymore (even when playing the most challenging passages, licks, riffs or solos). Which picking techniques and exercises will open the door to playing fast blues licks. How truly great blues guitar solos are build up using a mixture of different picking techniques and what you can learn from studying the picking techniques of virtuoso blues guitarists such as Gary Moore and Joe Bonamassa. How great guitarists think about their guitar technique and what you can learn from knowing what’s on their mind when they are playing and practicing. How self-expression is directly tied to guitar technique and what to practice in order to achieve freedom of expression. 5 specific picking exercises for blues guitar with tablature notation and explanations. How To Take Your Mind Of Guitar Technique so that you can focus on expressing yourself. Learn about improving your blues guitar technique by downloading the FREE “Picking Mechanics For Blues Guitar “ guide.